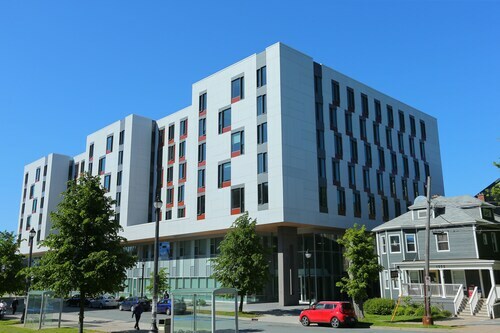 Located in downtown Halifax across from Citadel Hill, Cambridge Suites Hotel is within walking distance of many attractions around the area; the World Trade Convention Center is 1 block away. 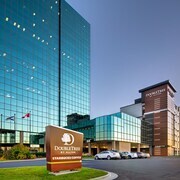 One block from the Halifax Citadel National Historic Site, the Prince George Hotel is connected to the World Trade and Convention Centre and Halifax Metro Centre via a pedestrian walkway. 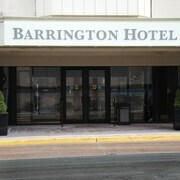 Located in South End, Halifax, this hotel is within a 15-minute walk of Dalhousie University and St. Mary's University. 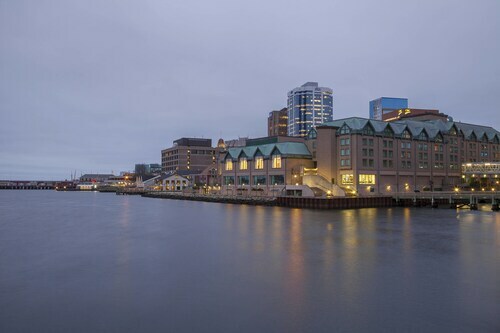 Halifax Waterfront Boardwalk and Neptune Theatre are also within 2 mi (3 km). Halifax Station is 22 minutes by foot. 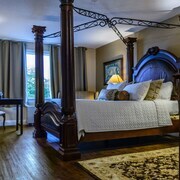 Located in North End, this hotel is within 1 mi (2 km) of Little Dutch Church, Halifax Waterfront Boardwalk, and Halifax Citadel. Scotiabank Centre and Casino Nova Scotia are also within 1 mi (2 km). 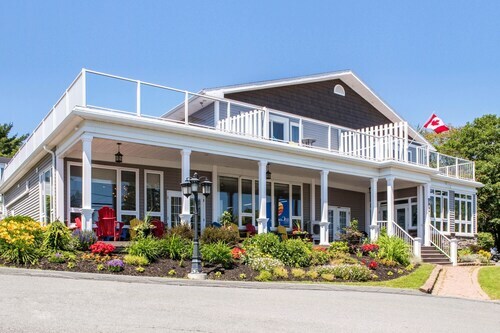 Located in Clayton Park, Nova Scotia, this residence is 2.7 mi (4.3 km) from Halifax Shopping Centre and within 6 mi (10 km) of Halifax Citadel and Dalhousie University. Halifax Waterfront Boardwalk and St. Mary's University are also within 6 mi (10 km). 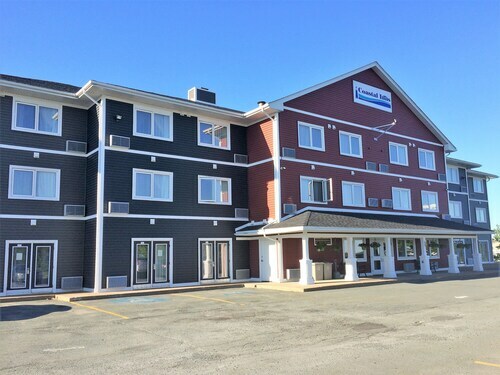 Situated by the ocean, this motel is within 9 mi (15 km) of Dartmouth Crossing, Museum of Natural History, and Halifax Citadel. Public Gardens Park and Discovery Centre are also within 12 mi (20 km). 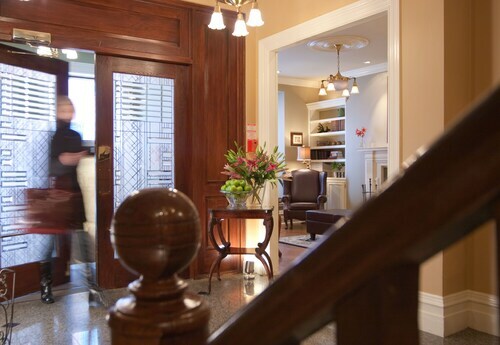 Overlooking the Halifax Public Gardens and Spring Garden Road, this hotel is 3 blocks from Metro Centre and Dalhousie University. 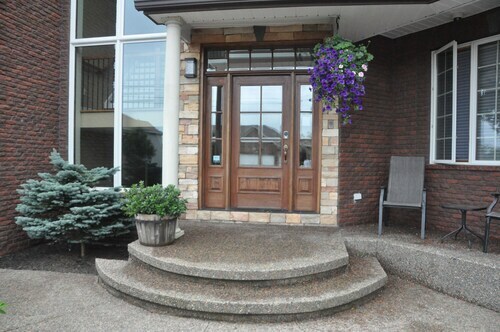 Situated in Bedford, this bed & breakfast is within 2 mi (3 km) of Aplaydia Indoor Playground, Dewolf Park, and Hemlock Ravine Park. 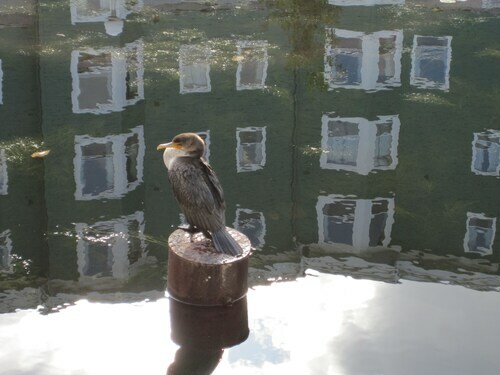 Fish Hatchery Park and Scott Manor House are also within 3 mi (5 km). 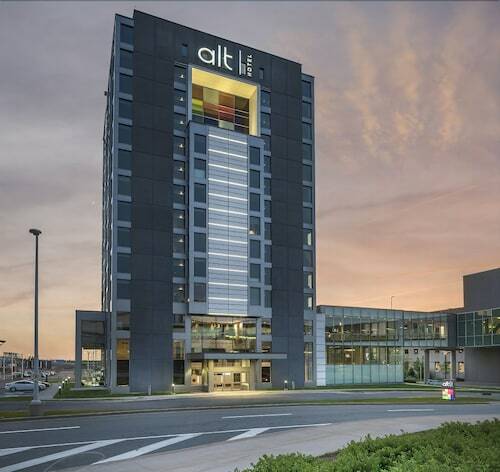 Located in South End, Halifax, this eco-friendly hotel is within 1 mi (2 km) of Emera Oval, Halifax Waterfront Boardwalk, and Halifax Citadel. Scotiabank Centre and Dalhousie University are also within 1 mi (2 km). Halifax Station is 28 minutes by foot. 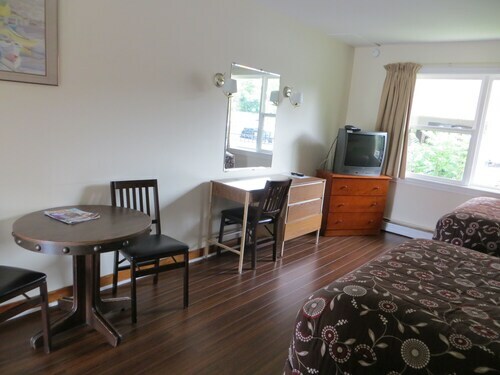 How Much is a Hotel Room in Halifax? 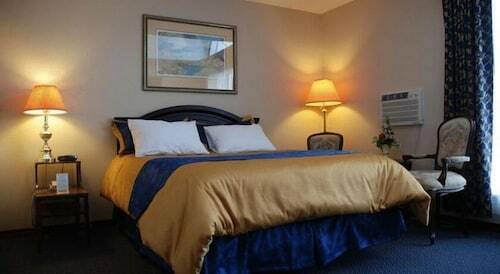 Hotels in Halifax start at C$69 per night. Prices and availability subject to change. Additional terms may apply. Pack your bags—it’s time to embark on a getaway. 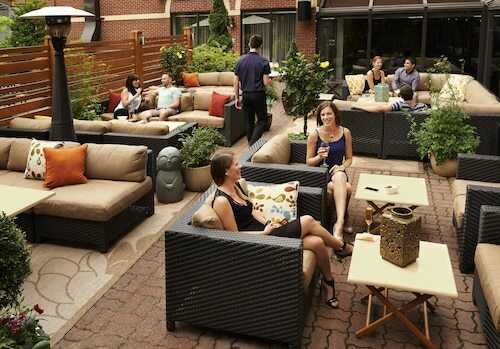 Whether you’re craving a solo retreat or promising your family a vacation to remember, book one of the best hotels in Halifax. These hotels are located within easy access of the city’s hottest attractions and entertainment, so you won’t miss a beat while you’re in town. Spend the days exploring the local landmarks and the evenings getting to know the nightlife. 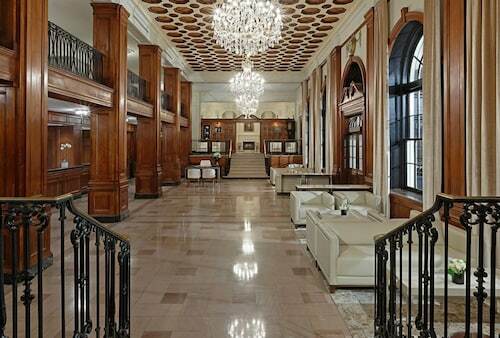 After exploring the city from top to bottom, rest up at a hotel that speaks to you. Find the perfect place that matches your trip’s vibe, from a trendy boutique to family-friendly accommodations. 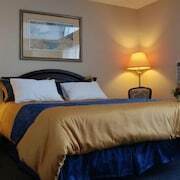 Allow us here at Travelocity to pair you with up Halifax hotels that suit your vacation preferences. Discover places with convenient on-site restaurants, around-the-clock service, and pools where your kids can make a splash. Some hotels may boast fitness rooms and spa services, while others feature game rooms and Wi-Fi access. 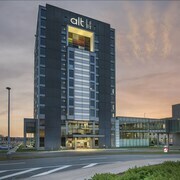 To top it all off, you’ll score cheap hotels in Halifax that let you spend more on your activities and less on your lodging. Book and bundle your flight and hotel deals together today and save up to $537. It’s time to explore a new city, and break out of your routine. Convenience and price and view. Loved watching the planes land and take off from our window. All was well. Cute little place, nice view. Loved the chairs outside. Lots of stairs inside tho. Good hot breakfast. Location is great....food is great...staff are excellent! I did not like the exorbitant parking fees. Otherwise it was a good hotel in the downtown area of Halifax. The front desk personnel were very welcoming, helpful, and attentive. It was a busy March Break week, but still did all they could to give individual attention.